Today we spent 7 hours standing up, printing less than 10 words on a fairly small scale. 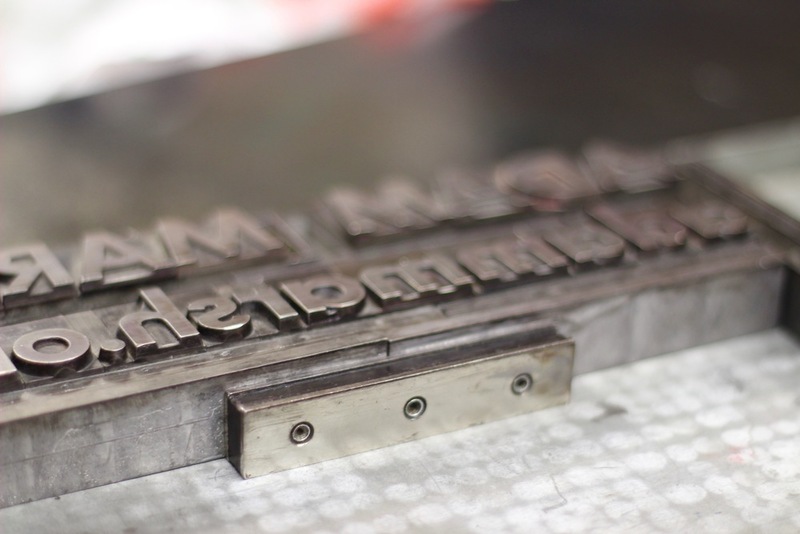 We were of course, typesetting with Letterpress. 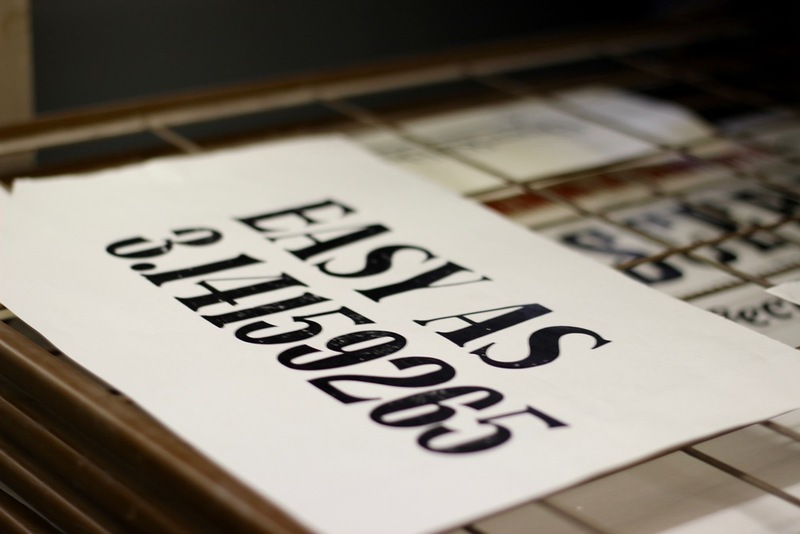 We went to a small letterpress workshop in Hackney, London to create some traditional typographic prints. Nothing quite compares to choosing each letter yourself, spending time arranging them perfectly and the action of creating an ink print. Typesetting is so easy in the digital world and takes seconds, but in the age before computers every letter, of every word in every book was hand arranged. Today we got to create our own letterpress prints. The workshop was incredible, organised into wooden cases were thousands of letters, numbers and punctuation marks that we could had pick and arrange to make a word or sentence. Unlike typing on a computer we had to create the space in between every letter, word and line by positioning small metal blocks to separate the letters. 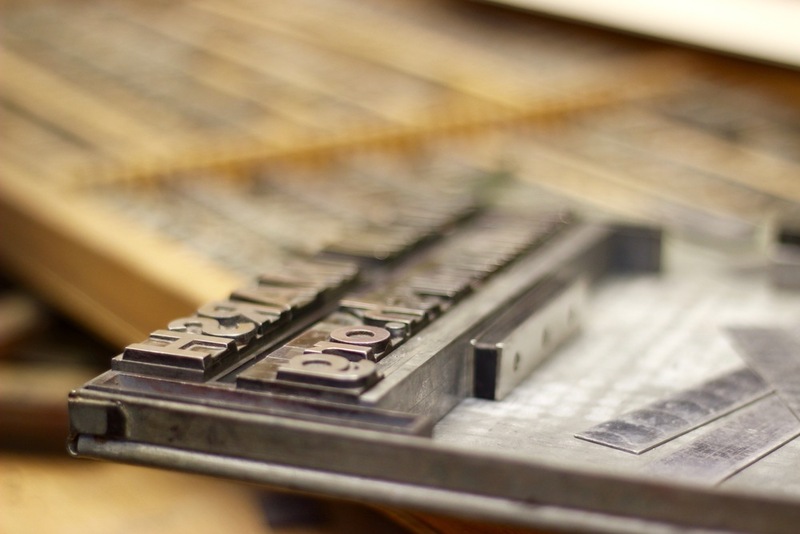 Before printing we had to think about every aspect of the words and continuously adjust them to make them perfect. In the images below you can see hollow blocks around the letter blocks that are used to perfectly align the letters; the blocks in between the 2 lines have also been chosen to create a specific line height. As we were making prints from the letter blocks, everything was in reverse so that it appeared the right way around when printed. This meant when arranging lines and words, it was all back to front which was a bit confusing at first. It was really incredible to see typography as a physical, tangible object; It has made me much more observant of the shapes and contours within each character and had made me pay more attention to kerning, tracking and leading, as with letterpress you manually control all of these value with physical metal blocks. I have really enjoyed letter-pressing as it has showed me a whole new way to look at typography. 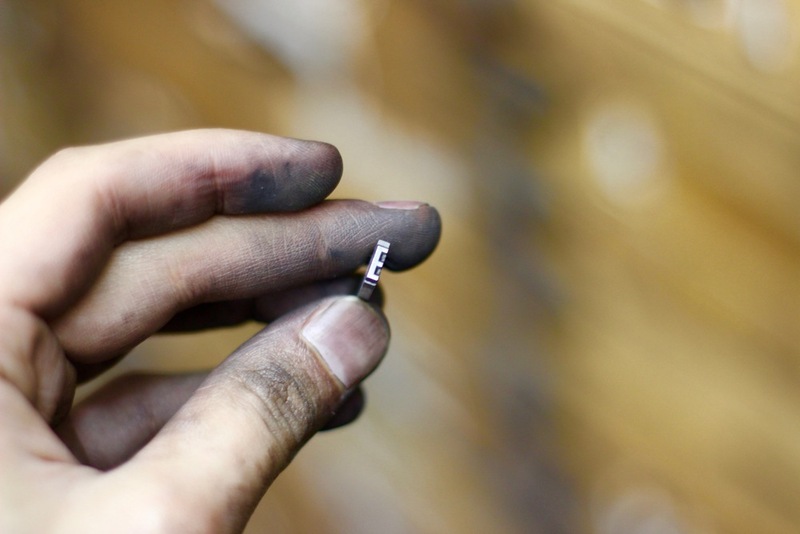 I loved the hands-on physical aspect that differs so greatly from setting type digitally. Although I hate maths, it was fun calculating the spacing when setting the blocks, light creating a structure from Lego. It has really showed me a whole new awareness of typography that i'm sure will have an effect on my digital design in the future.